Colin was a relatively late starter into the world of martial arts, unless you count pretending to open automatic doors with the Force, or watching this. He can blame Joaquim Homrighausen (and not just for this, a list is being prepared) for his web page describing Aikido for changing his thinking about the martial arts. Colin began studying Aikido in August 1999 at the Belfast Aikido Circle under the instruction of Aureli Osle, Michael Geary, and John Murray – all of whom have now moved away from Belfast. Colin assumes, or perhaps hopes it wasn’t entirely so they could get away from him. He was also taught by some bloke by the name of Donal Campbell, who apparently is still kicking around the place, if not literally. 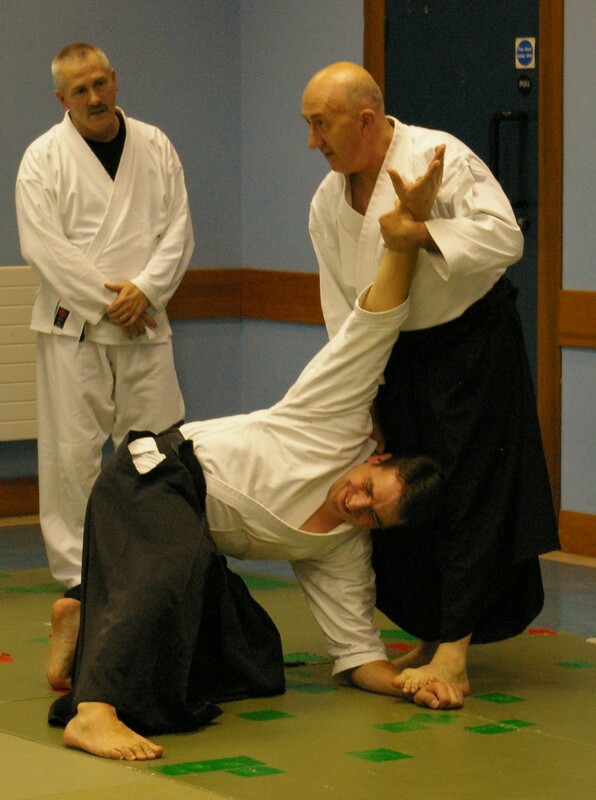 He obtained his shodan (1st Dan black belt) from Alan Ruddock Shihan in July 2001, and attended many courses mainly given by Alan Ruddock Sensei and Henry Kono Sensei over a number of years. 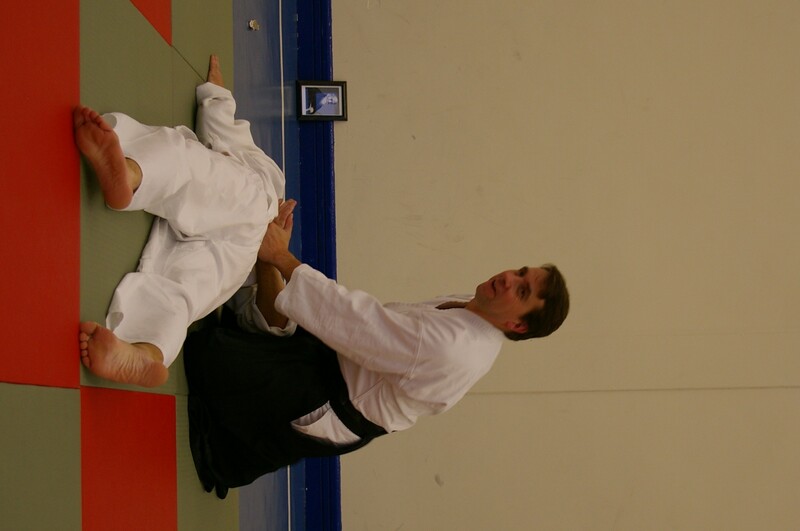 He obtained his nidan (2nd Dan black belt) from Alan Ruddock Shihan in July 2005. As Alan Ruddock sensei liked to talk about Monkey a lot, it looks like all that business watching BBC2 as a child wasn’t a waste after all. Colin received his yondan (4th Dan black belt) from Anita Bonnivert Shihan in November 2015. Colin has taught Aikido continuously since 2001 and has given classes and courses in Ireland, Wales and the Isle of Man, but may now have been found out by now. He has offered instruction to young people from troubled backgrounds, and almost ended up teaching part of a unique course in Belfast to train Jedi, which is documented in Allen Baird’s semi-biographical account. He absolutely had it coming. 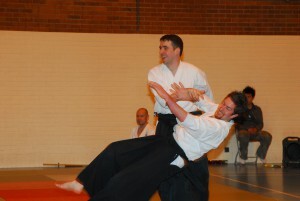 Colin has performed demonstrations of aikido at schools and also at the Belfast Martial Arts Festival. 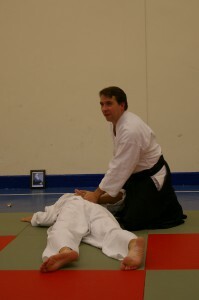 He sometimes writes articles about Aikido and the martial arts in general on his blog. 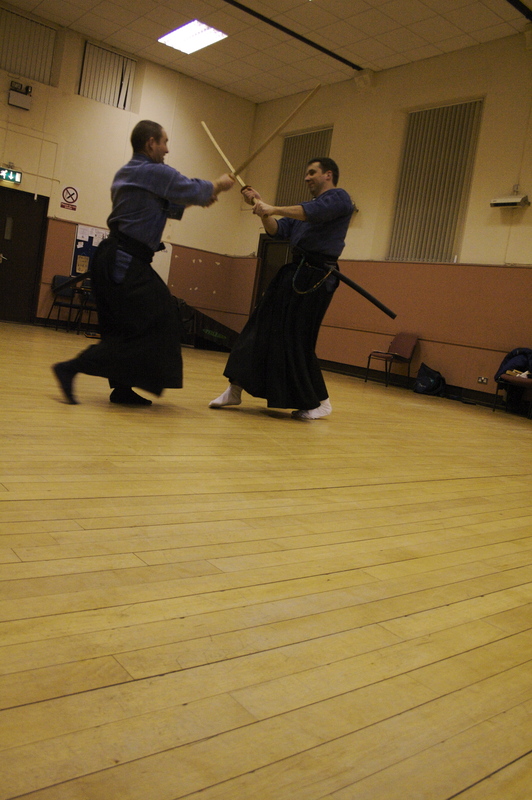 Colin has also studied Muso Jikiden Eishen Ryu Iaido, a school of Japanese swordsmanship within the Eikoku Roshukai. He began this study in 2000 principally under Greg Livingstone and later John Donaldson, and also holds a nidan (2nd Dan black belt) in this martial art. He has offered instruction in this art when nobody more suitable could be found. As a professional academic with an interest in Learning and Teaching, he enjoys the contrasts and similarities of teaching, and indeed of learning in all these areas, and tries to bring his knowledge from each field to the other. Here, watch this on the road to more enlightenment.